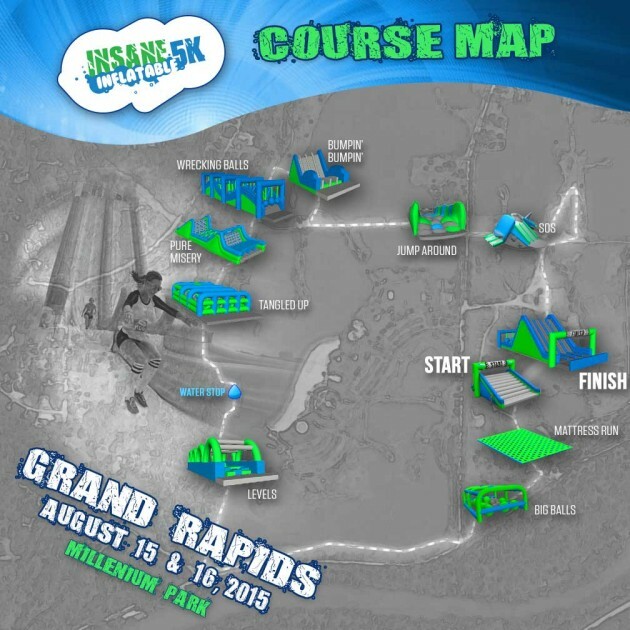 Check Out the Grand Rapids Insane Inflatable 5K Course Map! Are you excited for the Insane Inflatable 5K this weekend at Millennium Park?!? Well, so are we! We’ve been gearing up for this super fun event all week and now we can share the official course map with you! Check out all of the great obstacles you’ll be experiencing throughout the race! Are you ready for all of the running, bouncing, and sliding throughout Millennium Park? We sure are!